Imaging evaluation of soft tissue tumors is important for the diagnosis, staging, and follow-up. Magnetic resonance imaging (MRI) is the preferred imaging modality due to its multiplanarity and optimal tissue contrast resolution. However, standard morphological sequences are often not sufficient to characterize the exact nature of the lesion, addressing the patient to an invasive bioptic examination for the definitive diagnosis. The recent technological advances with the development of functional MRI modalities such as diffusion-weighted imaging, dynamic contrast-enhanced perfusion imaging, magnetic resonance spectroscopy, and diffusion tensor imaging with tractography have implemented the multiparametricity of MR to evaluate in a noninvasive manner the biochemical, structural, and metabolic features of tumor tissues. 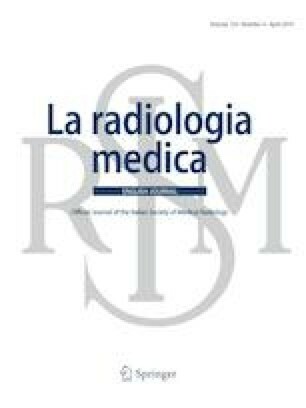 The purpose of this article is to review the state of the art of these advanced MRI techniques, with focus on their technique and clinical application.